Everywhere you look people are adding accents to their walls with vinyl. Vinyl is fun, but there are limitations. Like needing a vinyl cutter, limited color choices, no patterns. If you are looking for something a little different, The Mother Huddle has a tutorial for making fabric wall decals. Think of all the choices you could have at the fabric store. 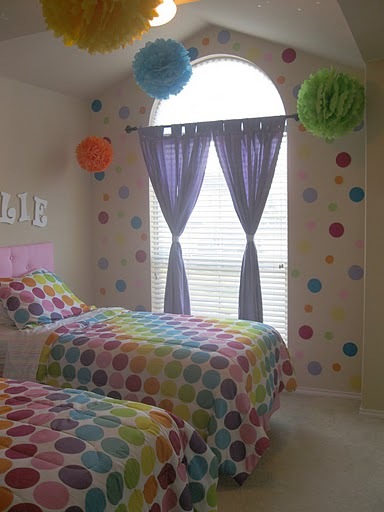 You can lear how to make wall decals from fabric HERE.